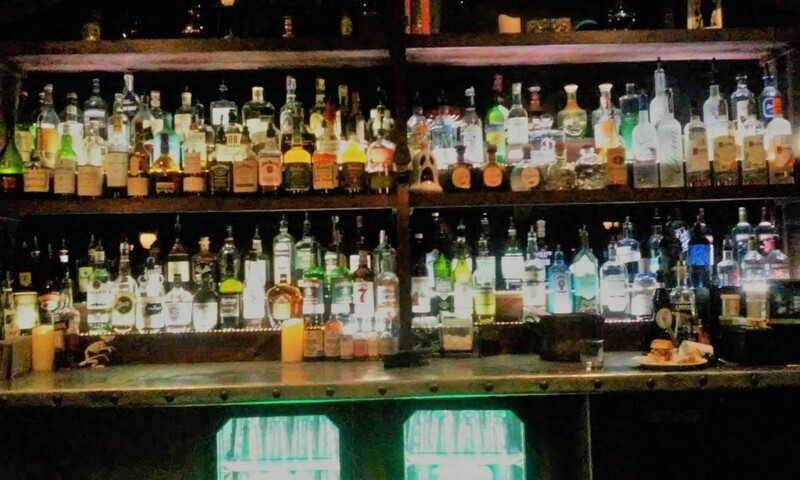 This is the heavyweight category of Halloween events in Los Angeles and the Southland. 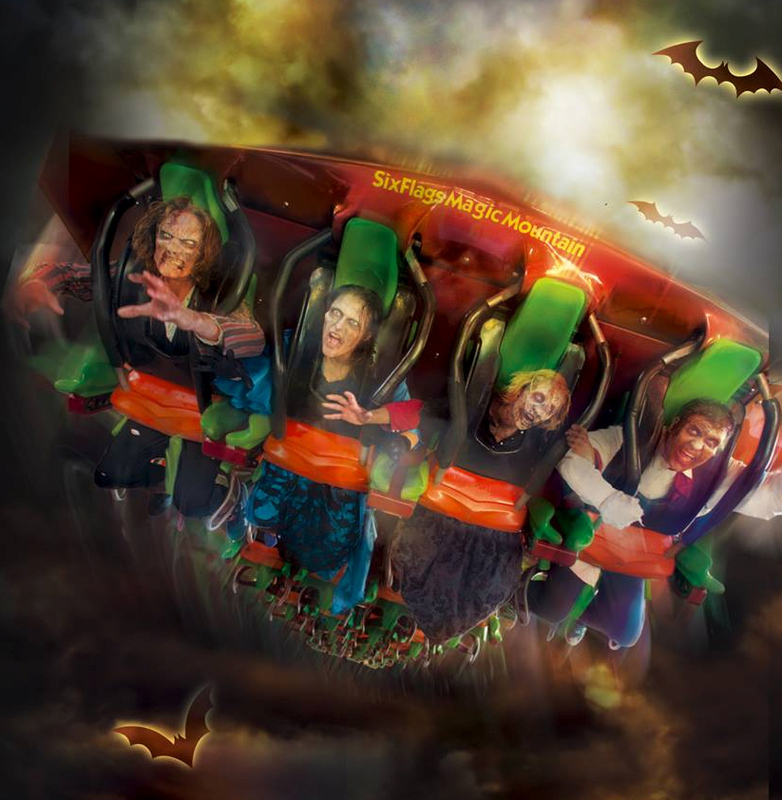 Running for a month or more, these attractions are set in year-round locations that have the infrastructure in place to handle logistics and publicity for big events; consequently, they attract more customers and (theoretically at least) deliver more scares. Theme park Halloween attractions may contain anywhere from half a dozen to a dozen walk-throughs, augmented by rides and sideshows, putting them well beyond the scope of the average haunted house event. For this reason, we include the Queen Mary Dark Harbor in this category; even though, strictly speaking, it is not a theme park, it offers as much Halloween entertainment as the competition at Universal Studios Hollywood, Knott's Berry Farm, and Six Flags Magic Mountain - but without the roller-coasters. 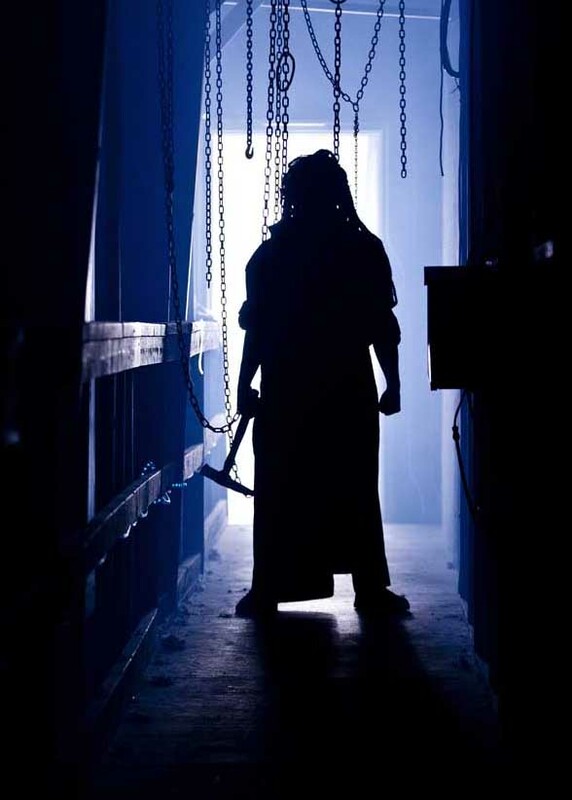 However, do not expect to see the Queen Mary among this year's nominees; it's 2014 Dark Harbor was entertaining, but the new additions did not warrant consideration. Also missing are Disneyland Halloween Time and Castle Dark, which Hollywood Gothique did not attend. For 2014, Halloween Horror Nights packed the lot at Universal Studios Hollywood with more mazes than ever before. The makeup crews and special effects teams brought to life such classic characters as Aliens, Predators, The Walking Dead, and An American Werewolf in London. There was a great new maze based on From Dusk Till Dawn; the immortal vampire Count from Transylvania made an appearance in Dracula Untold, and the House of Horrors had its last hurrah, hosting this Halloween's Face Off maze. As usual, the technical aspects were superlative: if you ever wanted to come face-to-face with H.R. 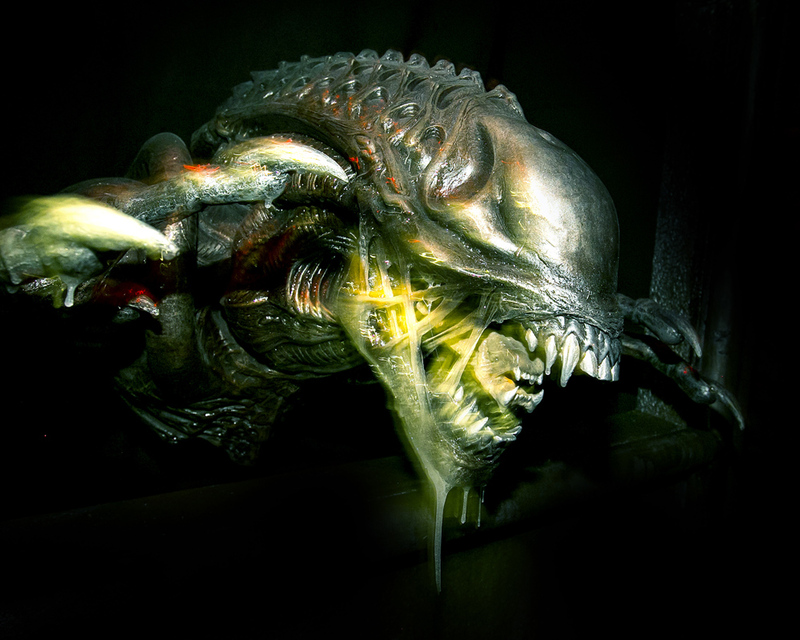 Giger's Alien or Rick Baker's werewolf, this was your chance. The Green Goblin at Knotts Scary Farm. As usual, Knotts Scary Farm outdid the competition in terms of sheer numerical superiority, offering more mazes than anywhere else in Southern California. There were only three new haunts (Voodoo, The Tooth Fairy, and Special Ops: Infected), but the holdovers were strong, particularly Trick or Treat and Dominion of the Damned. Also, the up-charge Skeleton Key Rooms offered in-your-face scares of a type one does not expect at a crowded theme park, such as the Seance-gone-wrong that kicked off the Black Magic walk-through. And of course, there was also Elvira, the apparently ageless Mistress of the Dark, hosting her stage show, filled with cheap jokes, dancing, and outrageous sideshow entertainment. Hollywood Gothique was extremely impressed with this year’s Fright Fest, which erased our past impression was that the annual Halloween event was primarily for fans of roller-coasters who wanted a few haunted houses on the side. 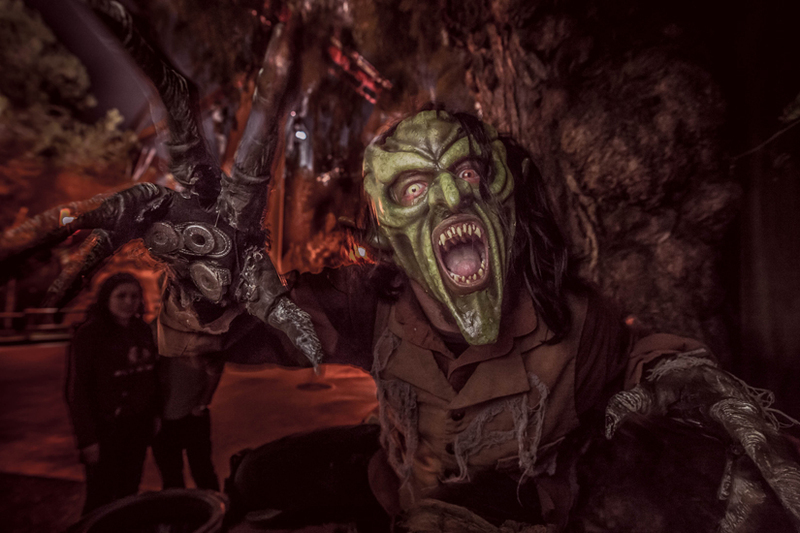 This year, Six Flags Magic Mountain offered eight entertaining mazes, including the standouts Willoughby Resurrected and Red’s Revenge, which featured convincing environments, filled with multiple monsters. Also, there was a diligent effort, at least when we attended, to allow only relatively small-to-medium sized groups into the mazes (about a dozen), making it easier for each individual to sample all the scares on view. With this performance, Fright Fest leaves its also-ran status behind, taking its place among the best Halloween theme park attractions in Los Angeles.